Chatbots Propelling AI to a New High! With the biggest extravaganza of the year lined up in the form of Christmas and New Year, e-commerce websites such as Amazon and Flipkart are trying hammer and tongs to attract customers. However, some users still have the apprehension—what if they didn’t like what they ordered. Artificial Intelligence (AI) had its roots in the 1943 design- artificial neurons- by McCulloch and Pitts and was academically incorporated in 1956. AI today has changed the face of the e-commerce industry especially in the redressal of grievances. Take for instance, when we order food on a food delivery App and due to some technical glitch or poor network, we were not able to connect to the delivery agent, AI comes to rescue. In fact, nobody wants to wait, so the AI technology in this case, technically known as chatbots, engage the customer for the time being before transferring us to a customer care executive. Chatbots come as an intermediate between the customer and the customer care executive. Indubitably, they can’t comprehend the exact problem if the query is submitted in a too ‘human-like’ expression as they have certain keywords or syntax to adhere to. 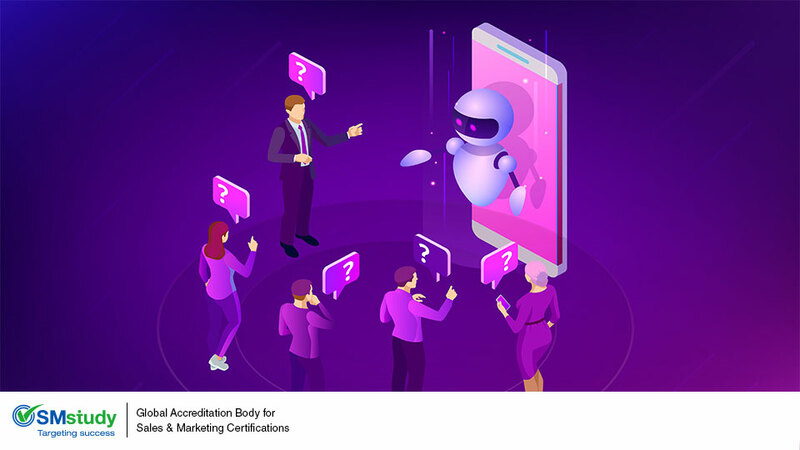 A recent study by a technological magazine revealed that around 4% of the e-businesses have chatbots and this number will exponentially grow to 80% by 2020. With the technological leaps the world has seen in such a short span, AI has made its entry into our homes as well with Amazon’s Alexa, Apple’s Siri, and Google’s home assistant. These AI enabled assistants are available both in our mobile phones as well as in standalone devices such Amazon Echo or Google Home. These audio assistants give a human touch to the respective device and also act as a perfect aide for the user. Chatbots have come as huge relief for the customer who have become acquainted with it. Take a case of a customer who has lost his/her night’s sleep as s/he is having some issue with the order that s/he has placed in an e-commerce site. At the wee hours when s/he tries to contact the e-retailer, the chatbots come to her rescue and deliver him/her the answers. Moreover, there are limited number of customer care executives in a firm whereas a chatbot can interact with multiple people without a hitch. Integrating chatbots with the business ecosystem can simplify users’ lives just with a tap. Refining the user experience is an endless journey and chatbots have become a vital milestone in that journey to target a wider audience.